The short answer is yes, and given recent trends in spending on education, it’s important not to forget about this deduction. Average amount of student loan debt has been climbing for years now. Wall Street Journal reported that over 70% of the recent grads left schools with debt, which averaged just over $35,000. It is expected to be even higher next year. The interest must be paid on a qualified student loan. Phaseout limits – interest deduction amounts are linked to your adjusted gross income (AGI) and begin to phase out at $65,000 when filing as single and $130,000 when filing jointly as married. This benefit runs out when AGI reaches $80,000 and $160,000 respectively. The loan was taken to pay for educational expenses for yourself, spouse, or a dependent. 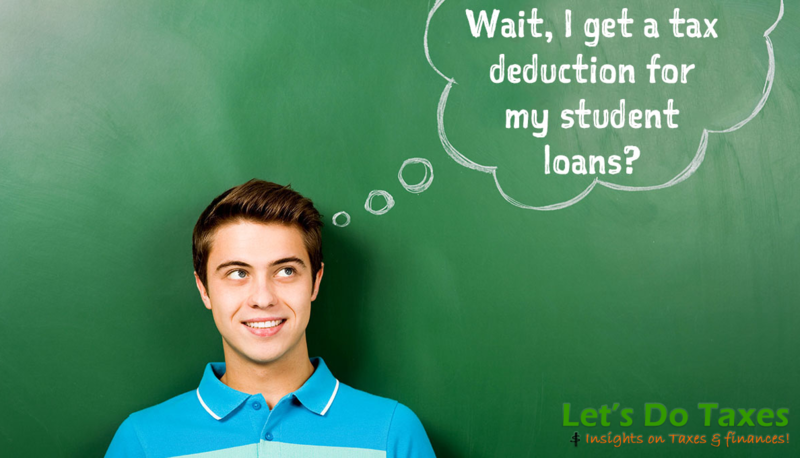 Expenses were paid within reasonable time after you took the loan; this is typically related to an academic period. Student must be enrolled at least half-time in a program leading to a degree, certification, or other type of recognized credential. Information on the amount of interest you paid on your student loans is reported on Form 1098-E, which is typically mailed in February. You can also access it directly on the website of the organization that holds your debt.